Popping this amongst all the mess on my desk made me happy today. I like that, did you make that display rack (assuming that's what it's called)? 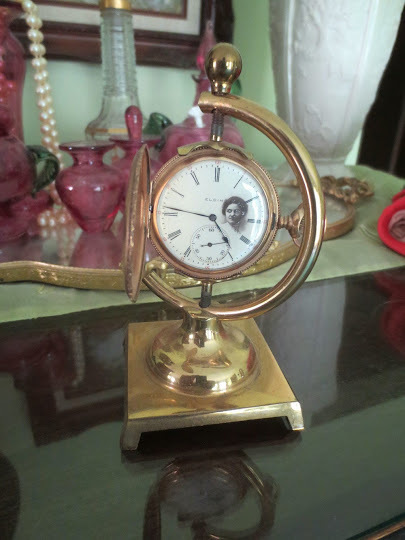 My great grandfather's watch with a picture of my great grandmother on it. I never knew him, but she was a fantastic lady. Alas no. Its just a little turned pocket watch stand. The watch its holding is nothing special its just one from my collection that I really like. Gunmetal and brass and keeps perfect time. I have my grandfathers solid silver and gold cigarette case which I too treasure as I never knew him either. This is a pic of him during WW2 as an ARP.